We recently had a cupcake theme party! 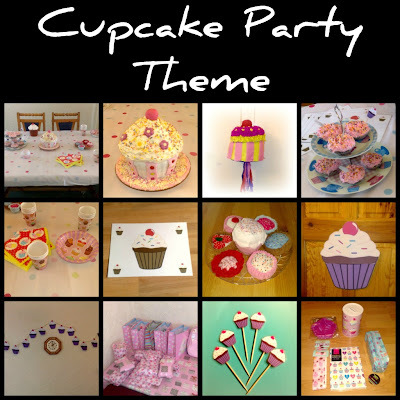 The photograph above shows some of the things that were cupcake related. I shall hopefully do some future posts showing some tutorials on how I made some of these things. I borrowed a friends large cupcake mould to make a large cupcake cake - This was my first attempt at decorating a cake so was pleased with the outcome for a newby! I also made some small cupcakes for the guests too! I also decided instead of 'Pin the Tail on the donkey Game' that we would have 'Pin the Cherry on the Cupcake game' so I printed of a large cupcake and had the children blindfolded playing this game. I also made some cupcake bunting to decorate the walls. I made some cupcake toppers to place onto the small cupcakes. 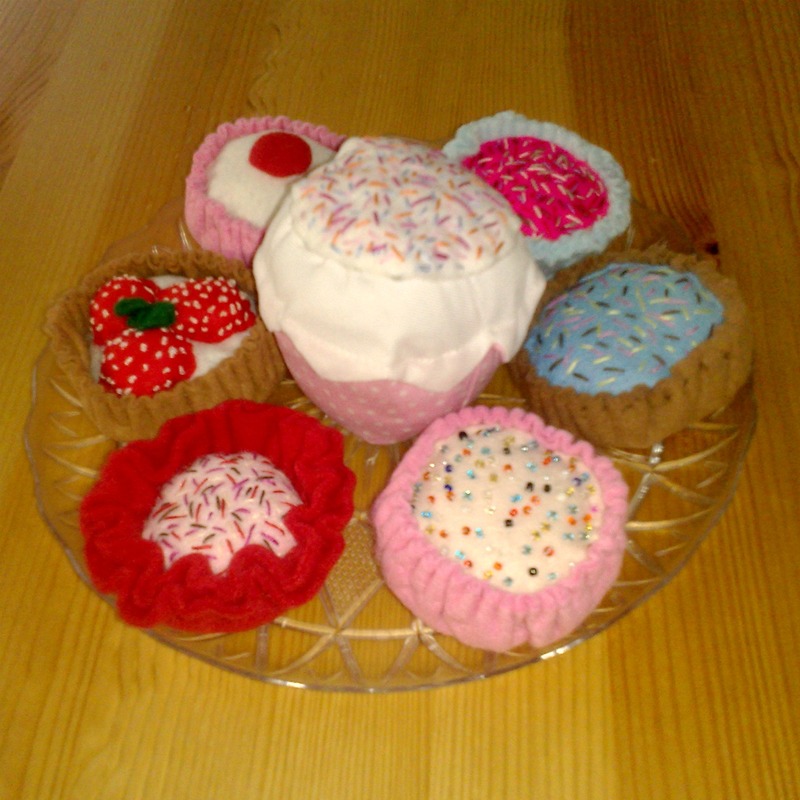 I recently visited a craft fair and found the cutest fabric cupcakes so bought some to place into the cupcake party bags that I bought for the guests. The cups, bowls and napkins were also decorated with cupcakes to carry on with the theme. I made some laminated place mats with cupcakes on that were given to each guest at the end of the party for them to take home. 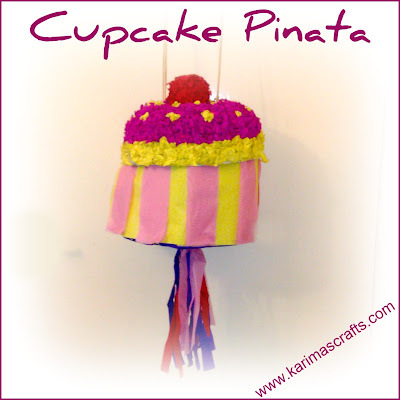 My daughters wanted a Cupcake Pinata - so I made one! I have never made a pinata before but was quite happy with the outcome - I made this with paper mache. 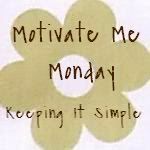 I will hopefully do a future post showing the tutorial of how I made it. 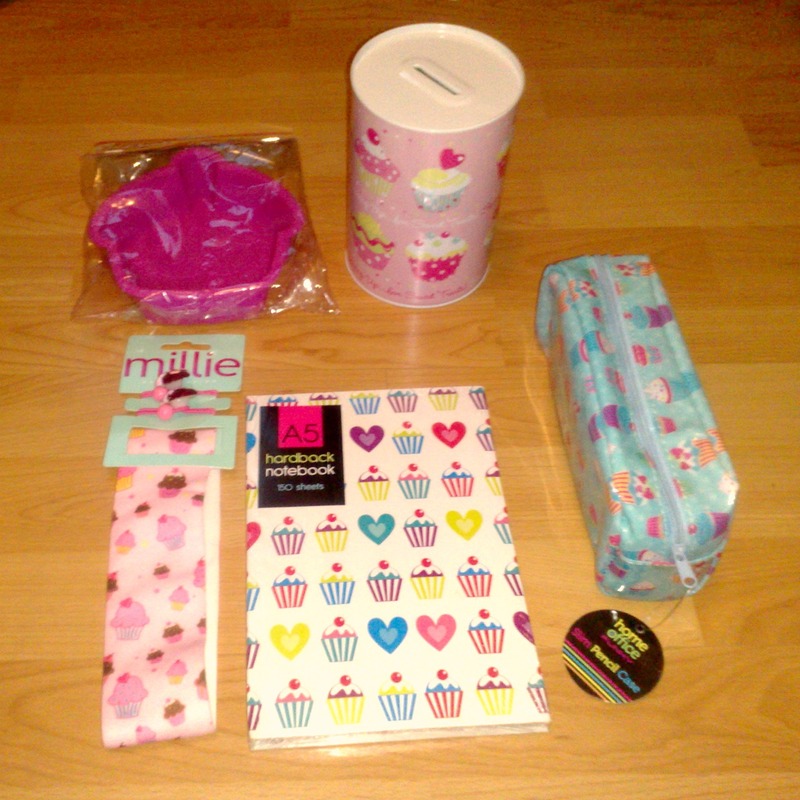 I bought some cupcake themed gifts which I wrapped up as presents for the games that we played during the party. Some items were Cupcake Money boxes, Cupcake Notepads, Cupcake Pencil Cases, Cupcake Headbands and a small Cupcake Cake mould. 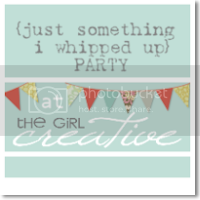 Some items that were also placed into the Cupcake Party Bags were some Cupcake Bath Gels, Cupcake Pens and some Cupcake Laminated Bookmarks. There was one boy invited to the party so I managed to print of some boyish pirate cupcake themed gifts which were: Pirate Place mat, Pirate Bookmarks and I bought a couple of boyish gifts for the prizes so he didn't feel that left out! 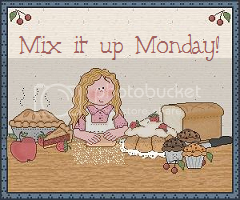 wao, Yummy Crafty post..Happy Birthday to your daughters..I am sure they had lots of fun in the party! What a fun party theme. I bet your girls and their guests had a great time. 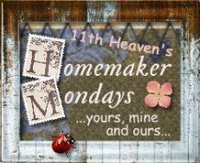 Love the cupcake theme - so many cute ideas - Stopping by from the Creative Corner Blog Hop. I have a weakness for cupcakes. Your cupcake themed party looked adorable. I am sure your girls loved every detail. aaawww.. karima!! Happy Birthday to your little one.. Thats the cutest birthday ever.. So adorable.. What a lovely theme!! This party looks like it was fabulous! I love the cake. Thank you so much for stopping by The NY Melrose Family and leaving such a sweet comment on my Wshi Birdhouse. 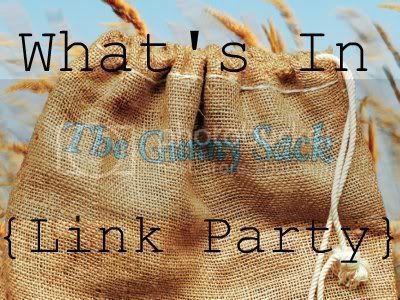 I host a weekly link party going on now and I'd love for you to stop over and link up your latest projects at www.thenymelrosefamily.blogspot.com/2012/04/whimsy-wednesdays-8.html. I'm following. Oh what a lovely party! And the cake…it is just gorgeous and so deliciously looking. No wonder the birthday girl looks so pleased. I recently got some cupcakes fabric but can’t really decide what to make. Happy birthday to your daughters. 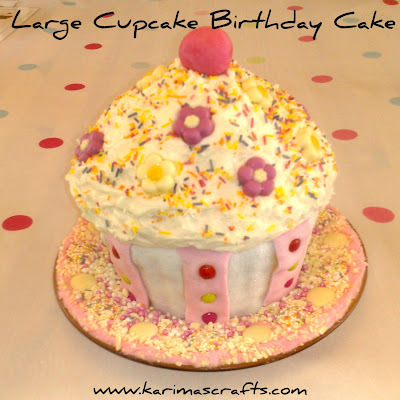 What a lovely idea for a party theme and your cake did turn out very nicely! Anxious to see your tutorials. 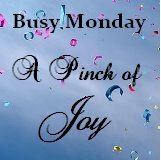 thanks so much for linking on Busy Monday at A Pinch of Joy. Hope to see you next week! Love this. Gonna pass it on to my daughter and see if she can do it for us for Eid...she's hosting this time. Wow - that would be a great thing to do for Eid! Ramadan Mubarak to you and your family.